It wasn’t that long ago that coding seemed like a skill reserved for software engineers or, at the very least, for college students who were majoring in some form of computer science. But coding isn’t banished to the land of grown-ups anymore. Increasingly, there’s a push for even the youngest children to learn how to code as a way preparing themselves for a computer-focused future. Last year, Apple CEO Tim Cook famously said he thinks coding “should be required in every public school in the world.” As of 2015, over 7 million job openings require coding skills, in occupations varying from data analysts to artists and graphic designers. Coding, it seems, is the language of the future. And it isn’t just big names in tech who think so. Increasingly, families are looking for nannies who can introduce their children to coding skills and give them a competitive edge in learning this must-have skill. This is a free bootcamp that promises to take coders from beginner level to advanced. The lessons focus on website building , and visual learners will love the video lessons. At the end, you’ll have a number of completed projects to use in your portfolio. Learn coding at your own pace as a member of this free community that offers thousands of coding lessons, tutorials, challenges, projects, and certificates. Eventually, as you progress, you’ll get the chance to do real coding projects for nonprofits that can be used in your resume or in a portfolio. 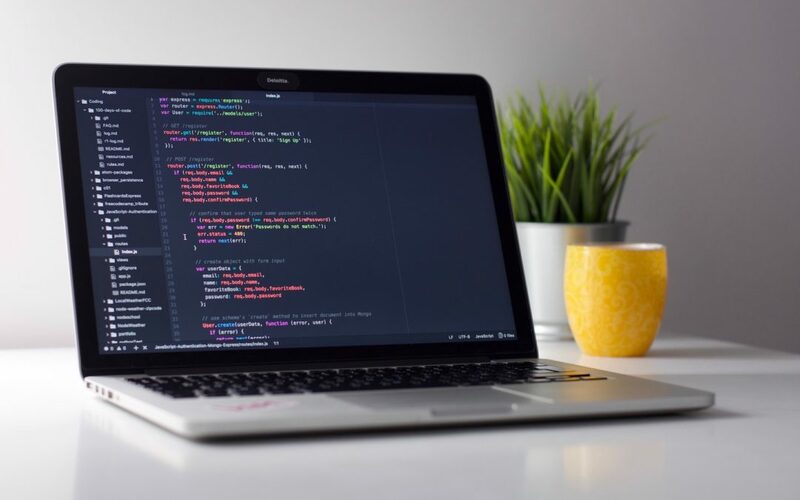 Once you know how to code, or at least understand the basics, there are dozens of ways to incorporate coding into your day to day activities. It can be taught to children through an app like Scratch Jr., which guides children through creating interactive stories using basic coding language, or by using any of the dozens of toys and robots on the market, like Kibo, which is a robot kit for children as young as 4. But there are also screen- and tech-free ways to start implementing the basics. For example, playing a “computer and programmer” game where children sit back to back and one — the “programmer” — draws a simple picture and then must explain in detailed steps what the person designated as the “computer” should do to duplicate the drawing. Or there’s a simple sidewalk chalk game called robot and programmer, where you are the robot and the kids have to use simple commands to guide you through a chalk maze to a “spray zone” where they get to spray you with water. Studies have shown that playing these kinds of games improves children’s ability to sequence things, which in turn can have major benefits when it comes to learning math and science. Learning to code isn’t just about helping the children you care for. It’s also about giving yourself a competitive edge and opening up the possibilities for the kind of quality care you can provide. Even for families who aren’t specifically looking for coding nannies, having these skills and knowing how to help children develop them is a worthwhile investment that could provide surprising and lasting benefits.